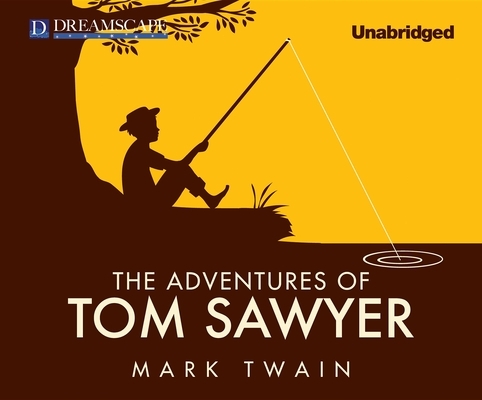 A pillar of American literature, Mark Twain's prototypical coming-of-age introduces the iconic Tom Sawyer and his best friend Huckleberry Finn. Tom's panache for mischief and unyielding desire for adventure commonly leads him into trouble, but quick wits and a smooth tongue always navigates him to safety. When Tom and Huck witness a murder and the culpable Injun Joe escapes justice, Tom, who testified against the bandit, is left to wonder how he will get out of yet another bind. Known for his satire and wit, Mark Twain (1835-1910) is an icon of American literature. His novels The Adventures of Tom Sawyer and The Adventures of Huckleberry Finn have endured as classics, read by millions of people year after year. READER BIOEric has been a full-time voice actor and musician since 2003, doing voiceover work with The Media Group. Eric's audiobook career (and passion) began in 2009 for Brilliance Audio. Since joining their ranks as a frequent narrator, Eric has recorded numerous titles by authors such as J.R. Ward, Stephen Coonts, Greg Iles, and others. After forming Sweet Jennie Mae Productions, Eric recorded clips for Nike, Farmer's Insurance, The Austin Museum of Natural History, and more.